On the heels of Target's major data leak, in which 70 million customers had their credit and debit card information stolen along with email addresses and mailing addresses, it appears a second smaller attack occurred at luxury retailer Neiman Marcus. The company does not yet know the amount of customers affected, or what information was stolen besides the card information. 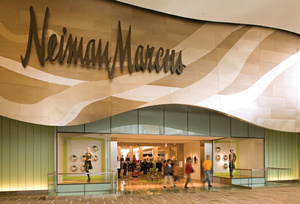 Neiman Marcus says they received alerts from their credit card processor in December "about potential unauthorized payment card activities" and that the U.S. Secret Service is investigating the matter. Third-party security firms confirmed the attack on January 1st.